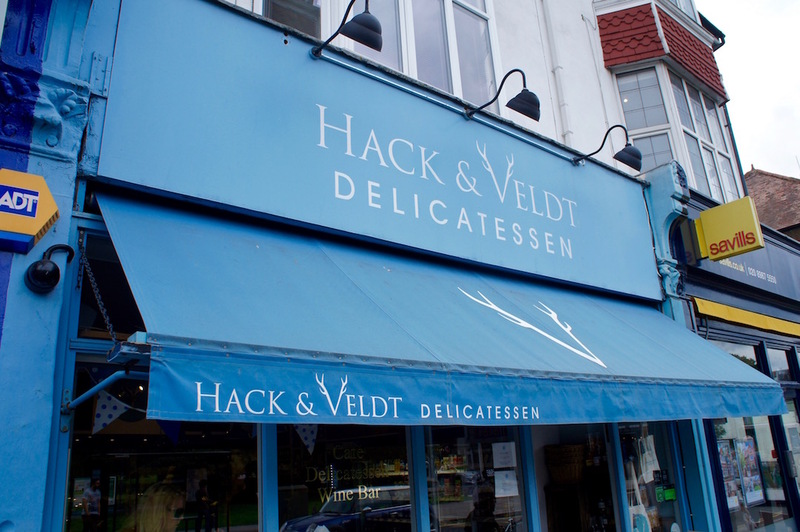 However, a little spot I think you should venture out for is Hack & Veldt Delicatessen in Chiswick. This little hole in the wall offers so much you’ll want to brave the weather! Stacked floor to ceiling (almost!) 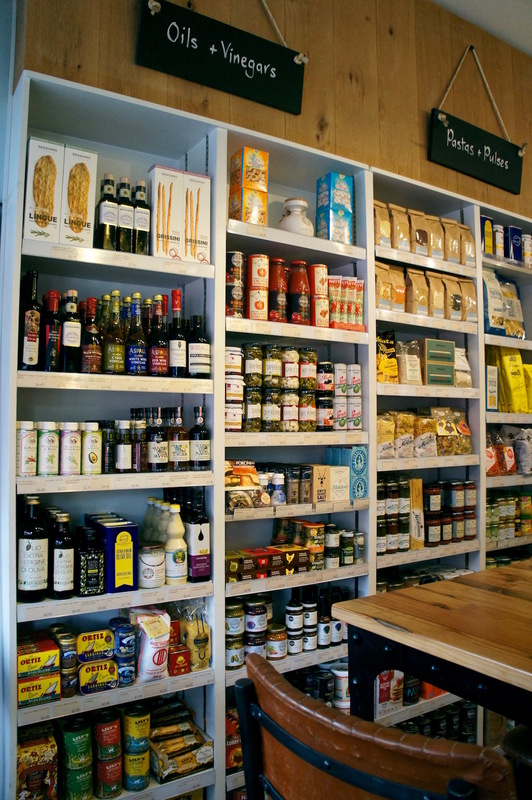 they sell pastries, oils, charcuterie, homemade sandwiches, soups, craft beers and Monmouth coffee (just to name a few!) and as you’ve seen my love of cheese dishes before here, you can just imagine the grin on my face as we were perusing the artisanal cheese section of the menu! 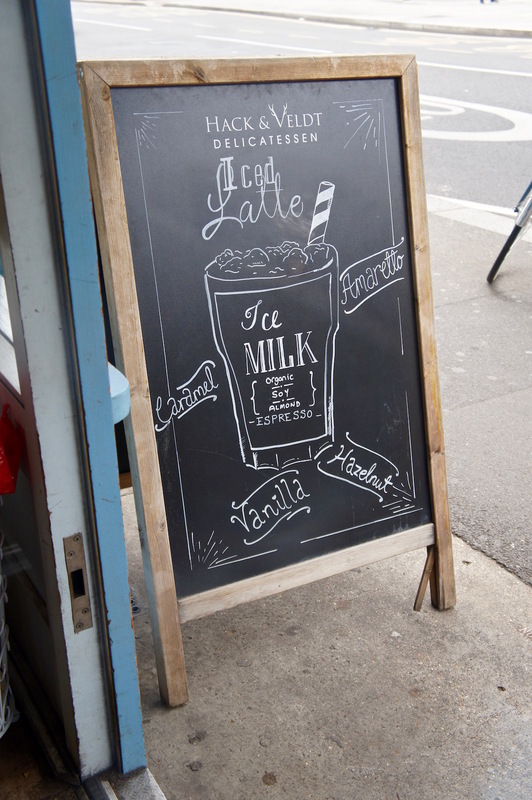 I tried their iced, soy milk latte which was delicious – although it did leave me a little chilly on the walk home – I should really have gone for something warmer, but I’m just not ready to let go of my iced coffee’s yet!! 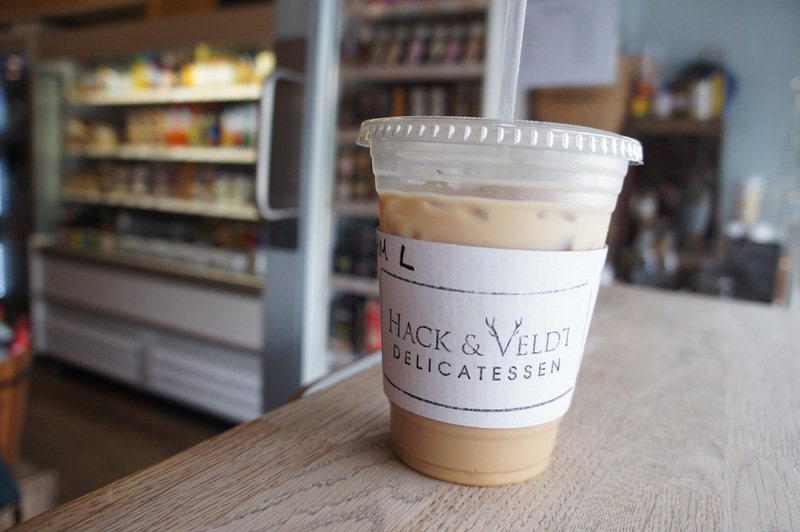 Hack & Veldt is a perfect spot to rest your bones for a little, or a long while – whichever suits you best! Fully planning on ordering and leaving, we ended up taking two stools at the front, to chat, sip our beverages and do a bit of people watching. A lovely way to spend a Sunday afternoon! Did I mention it was puppy friendly? A fair few visited whilst we were there and bless them, they were a great source of entertainment! 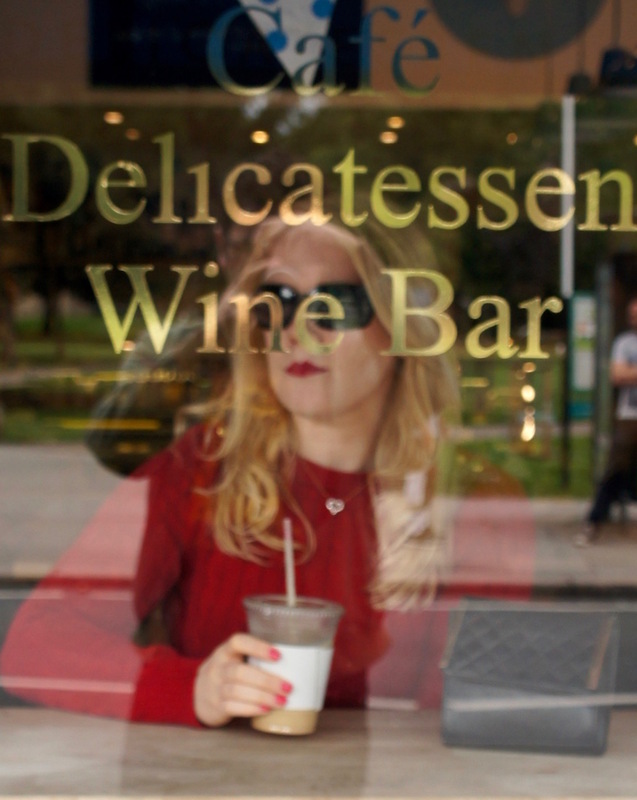 Pssst -> It’s also a wine bar!! it looks like such a cute place! 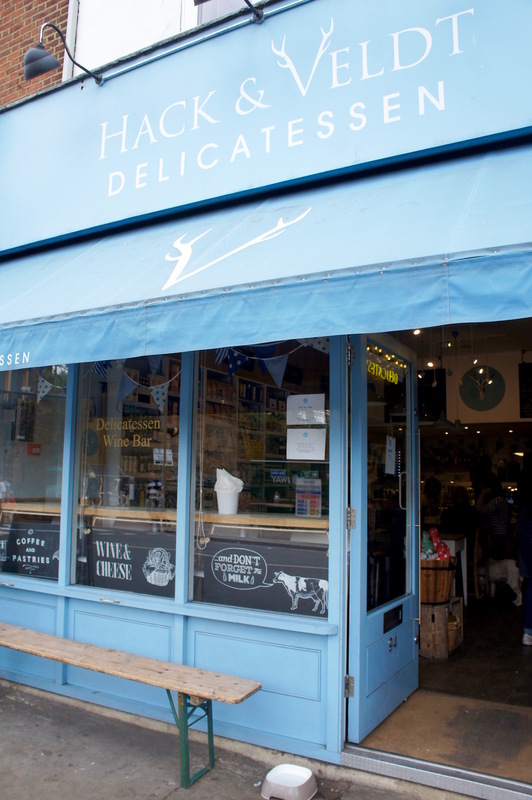 it’s always great to read about hidden gems in London. Thank you for sharing and have a nice day. Thanks Marzena, you’re very welcome and you too! I’m so glad you like it Chloe!! This seems like a really nice place to visit. I’ll take note of this when I come to London! Do Myrra, it’s a great little spot! I love all these vibes!!! It looks so nice there. Thanks Courtney, it was fab, well worth a visit! 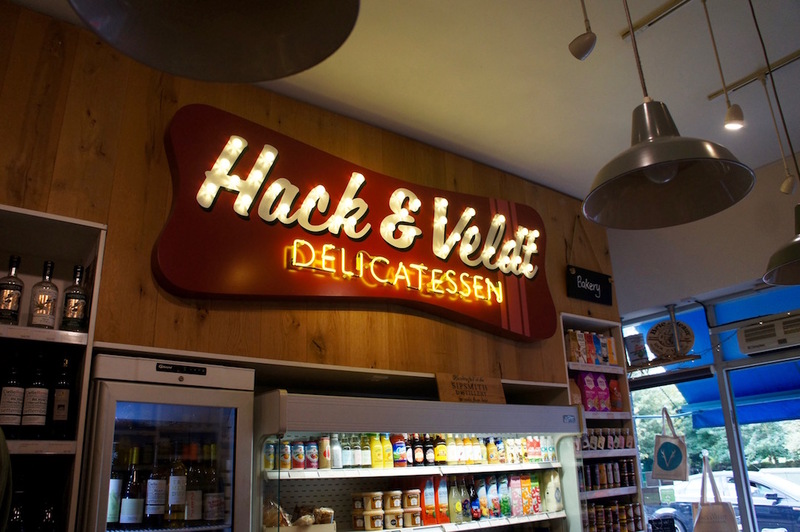 This deli looks so lovely! 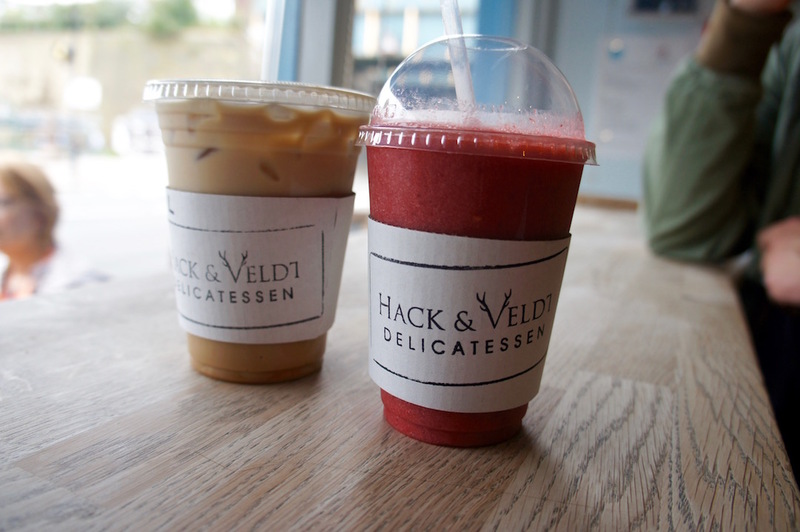 I would love one of those coffee’s right about now! this looks like such a cute spot. i really love the logo for some reason. It’s a cute one isn’t it!? !